For alpine, most know that the goal for many athletes is to make the VT State Championships for their age group. 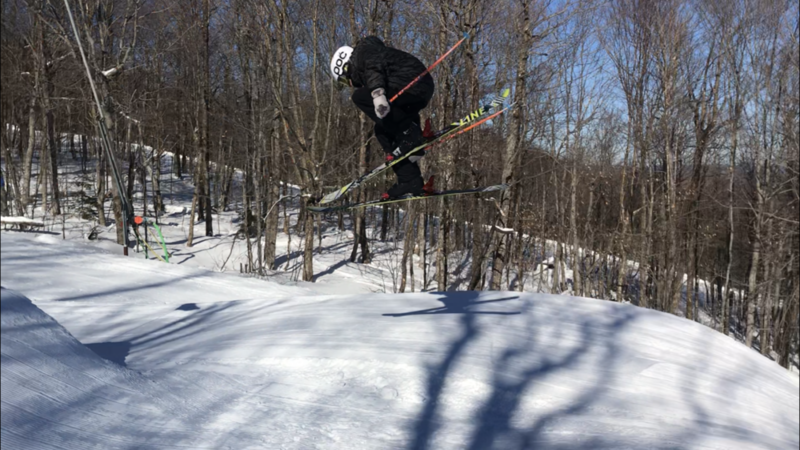 This year, OMS and the Okemo Competition Center had a number of U14’s competing in states, including Merina Visnic, Nina Garbarino, Kiera Laurion, Olivia Weeple, Hayden Nelson, Jillian Ludl, Tia Spenlinhauer, Abby Kelleher, Georgia Chadwick, Brooke Bergendahl, Josh Rosenberg, Michael Caruso, Christian Carretero, Gabe Dawkins, Graham Stein, Kieran Shea, Carter Robinson, Thaddeus D’Andrea, Michael Amato, Cole Firstbrook, and Owen Poodiack. For the women, the top results came from Merina and Nina, who took 3rd and 4th in the Super G and 1st and 2nd in GS! For the men, Josh Rosenberg finished 1st, along with 4th in the Super G and 2nd in the Slalom. These results granted him the title of the Overall U14 State Champ! While the VT State Championships is a major accomplishment in itself, many of our athletes didn’t stop there. Josh Rosenberg, Michael Caruso, Cole Firstbrook, Christian Carretero, Merina Visnic, and Nina Garbarino all moved on to the Eastern Championships. Keria Laurion, Olivia Weeple, Gabe Dawkins, and Mike Amato also moved onto the VT/NY Invitational. The race to the top didn’t even stop there though! After producing awesome results at Eastern’s, Nina Garbarino and Merina Visnic earned spots in Can-Ams in Tremblant, Ontario, and Josh Rosenberg went onto the U16 Nationals in Breckenridge, Colorado. Both of these competitions bring the best athletes from all over New England and the United States. At Can-Ams, Nina and Merina both earned some top 20 results and Nina even took 5th in the Super G! As for Nationals, Josh had a great experience and enjoyed the opportunity to race out west, against many of the best alpine athletes in the country. Not only was this an awesome way to end this season, it helped Josh experience the competition level that he will have as a U16 next season. Our U16’s also had a great year on the hill! The OMS and Okemo Competition Center athletes that competed at the U16 Vermont State Championships were Reilly Shea, Jenna Mirabile, Maeve Esler, Sarah Bassett, Erin Kelleher, Drew Visnic, John Kelleher, Ryan Thomson, Christopher Amata, Joe Flaherty, Freddie Brogden, Brady Spenlinhauer, Brennan Hynes, Quinn Riordan, Seth Tobin, and Henry Lavion. Our top results came from Drew Visnic who won 1st place in the Slalom and 3rd place overall! Many of our U16’s advanced onto Eastern’s, as well. This included Drew Visnic, Ryan Thomson, and John Kelleher. At Eastern’s, Drew continued his successful season with 8th and 14th finishes in the Slalom races, along with a 15th place finish in the Super G. Ryan Thomson also earned his way into the top thirty with 27th in the Super G. Brennan Hynes, Freddie Brogden, Chris Amato, and Joe Flarhety also made Eastern Finals. At finals, Brennan Hynes worked his way into the top 10, with a 9th place finish in Slalom! 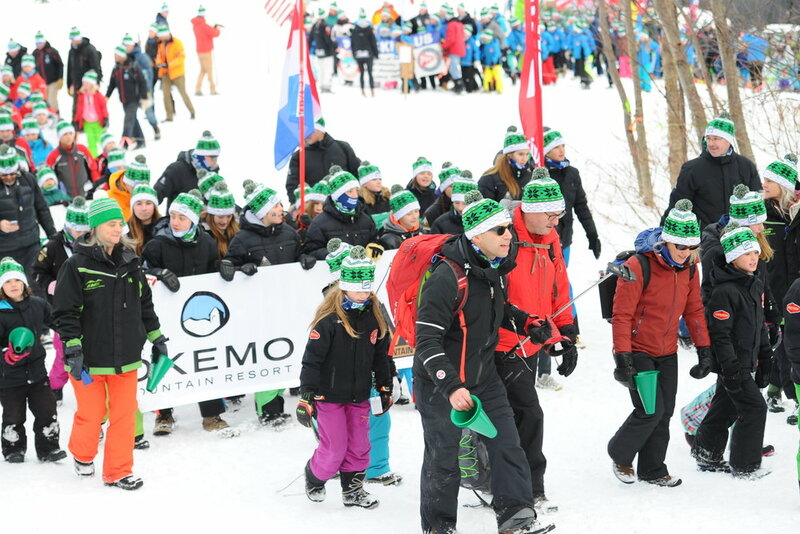 Okemo’s younger alpine athletes also enjoyed an outstanding season. Hopefuls had an awesome winter exploring the mountain and gaining confidence in their skills. They enjoyed their races on Bull Run and Wardance, always competing with smiles! 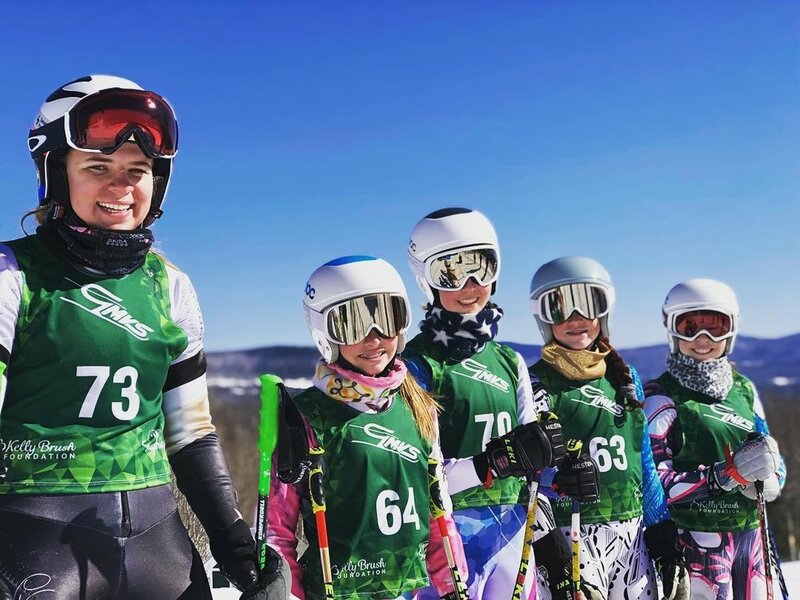 The U10s, the youngest alpine group to race intermountain, traveled Mid-Vermont competing and training at Pico, Killington, Middlebury, and Quechee. They had a successful and FUN season. The U12s also compete in Mid-Vermont and at the last MVC race of the year, a dual SL on Wardance, were successful in winning the team trophy, “The Boot,” for yet another summer. 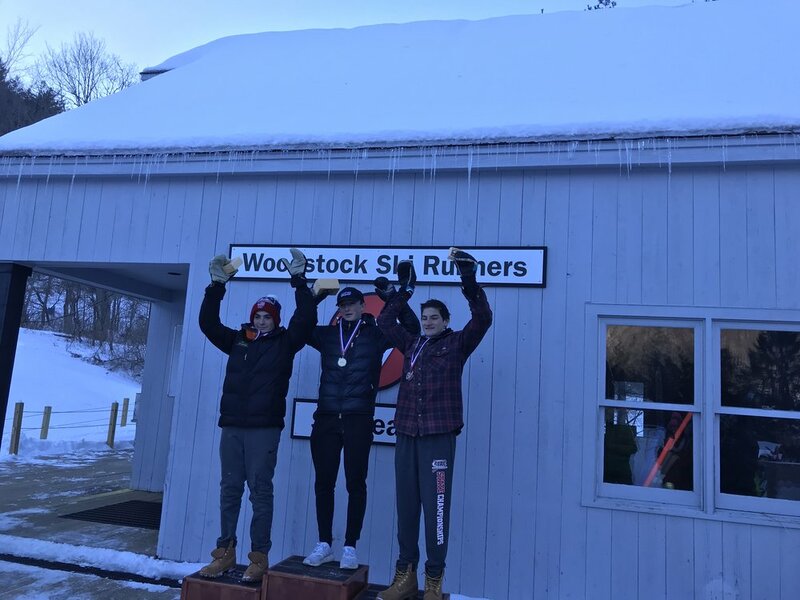 Many U12 athletes participated in post-season events: Piche’s in NH, Meisterschaft in Southern Vermont, and the NY-VT SL Project at West Mountain, NY. Piche’s participants were Bridget Waters, Riley Keane, Emma Van Heyst. A special shout out to Bridget for placing 3rd in the Piche’s SL. Meisterschaft participants were Maisie Kostuchenko, Cami Blount, Alyssa Lux, Fiona Rivas, Alexis Robinson, Alice Weeple, Blake Nelson, Sam Tatko, Declan Gilmore, Owen Benison, Otis Hamner, Liam Fitzgibbon, and Robert Fitzgibbon. A special shoutout to Alyssa Lux (4th in GS, 8th in SL), Maisie Kostuchenko (5th in GS, 7th in SL), Blake Nelson (2nd in GS), Sam Tatko (6th in GS and SL), and Declan Gilmore (10th in GS). Parker Toyloy attended the NY-VT SL Project and enjoyed an awesome interstate training opportunity. 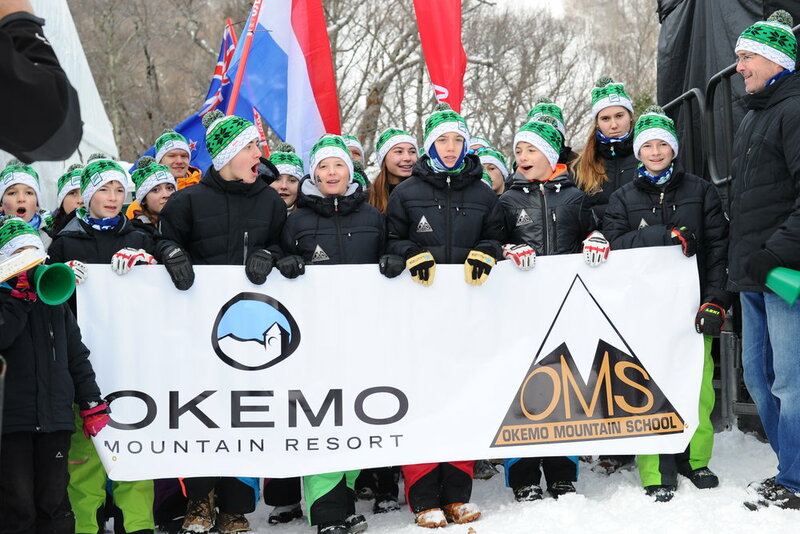 OMS and OMST snowboarders have also competed in some major competitions throughout the year. Margie Black started the season by competing in the Toyota Grand Prix in Colorado, Connor Shea and Maggie Hall competed in the Speed Nation BX event in British Columbia, and Katy Buckley, Maggie Hall, Margie Black, and Aviela Berk-Silverman all competed in the Toyota Rev Tour in Pennsylvania! At the end of every season, the snowboard team heads to Colorado for USASA Nationals. We brought 21 athletes from OMS and our OMST weekend program this year. Nationals is held annually at Copper Mountain at the end of March and into April, in which more than a thousand snowboarders compete in different age groups and disciplines throughout the week. All the hard work and dedication to training this season certainly paid off as our athletes once again made a huge splash with 15 podiums and numerous top ten finishes! Some of the highlights of the week included eleven year-old, Caleb Kampf’s valiant effort in racing in which he took home silver medals in GS, Slalom, and BX and set him up nicely for an additional podium spot with a 3rd place overall in his age group. Sumner Orr also took home some hardware in racing with a bronze in slalom and a photo-finish silver medal in BX. Vivian Sweet and Maggie Hall also secured two killer podiums in BX with a bronze and gold, respectively. In pipe, our older girls crushed it with silver medals for both Maggie Hall and Katy Buckley and Aviela Berk-Silverman’s clean and stylish run secured her the gold. In slopestyle, Aviela took another top spot on the podium and Maggie Hall also took home the gold in her age group. Eleven year-old, Tommy Okesson also had a stellar performance in one of the largest age groups (75 athletes) and brought home the bacon with silver medals in both slope and pipe. We couldn’t be prouder of our Okemo snowboard athletes and the effort they put forth out at Copper. We have had 60+ podiums over the past four years and look forward to keeping the double-digit streak going in 2020! 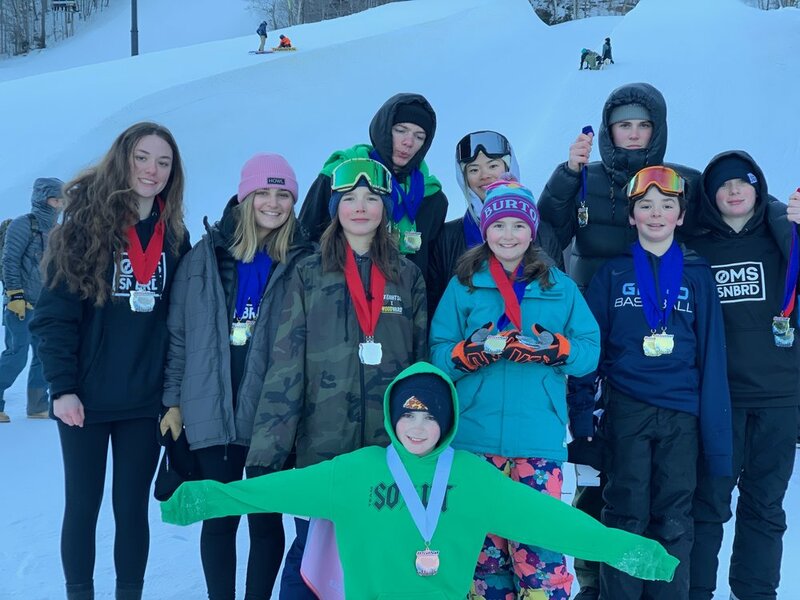 Last, but not least, all of our OMS Freestyle athletes, plus several Okemo Competition Program athletes, made Nationals with some great results throughout the season. Our youngest OMS Freestyle athlete, Liam Brogden earned over ten 1st place results across all disciplines this season. Travis Blake had several 1st and 2nd place finishes throughout the season. Aiden Shea also showed great work in several skiercross events, earning 2nd in a couple competitions, along with a 3rd place finish in a slopestyle event. Our oldest OMS freestyle athlete, Patrick Young, placed in the top 3 in various events in Vermont, along with traveling to Europe to compete. Patrick competed in the British Junior Nationals, coming in 2nd in the U18 age group and 3rd overall for skiercross! He also came 4th in his first Audi Tour race and 7th in the second race, where he was up against all the boys from the Swiss Ski Cross team in the semi- final. 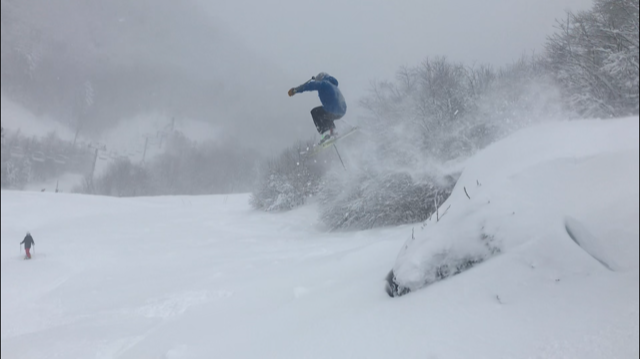 After coming back to Vermont, Patrick had some great results in the IFSA Freeride World Tour qualifier. 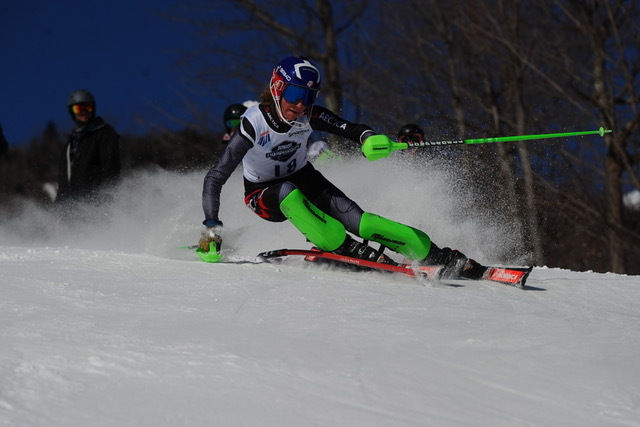 He had multiple top 10 finishes and a 7th place at the IFSA Smugglers Notch 2* event. This qualified him to the IFSA Junior Nationals at Jay Peak. The freestyle team has spent the last week competing in the USASA Nationals, as well. One of our athletes favorite events is the Skier Cross and they certainly showed their skills. We had three top 10 mens finishes; Paul Gleason with 2nd, Patrick Young with 3rd, and Travis Blake in 8th. 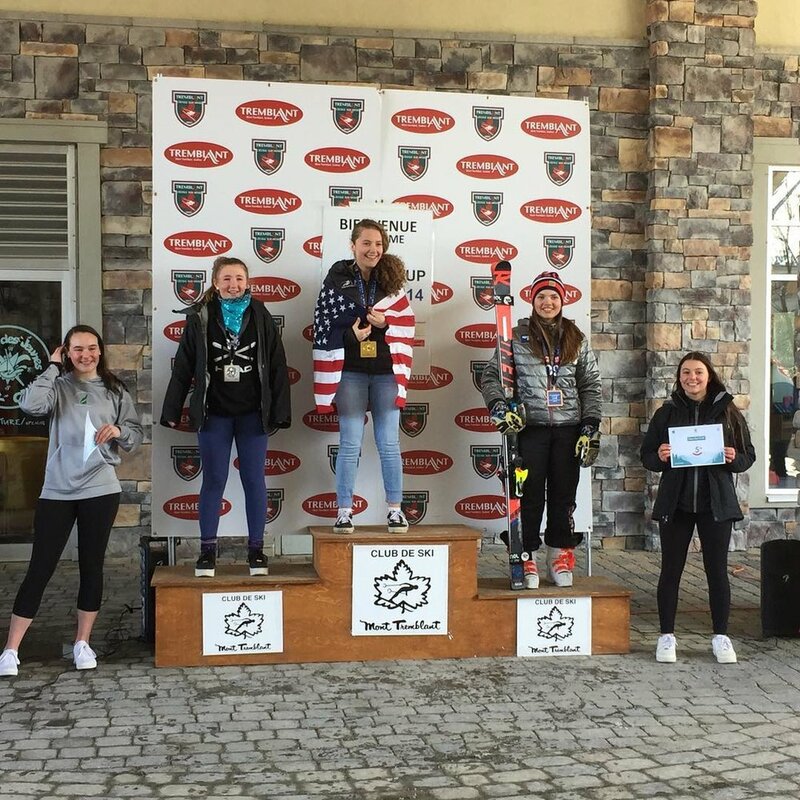 For the 8-9 girls age group, Adelyn Meyenberg took 2nd in the halfpipe and Evelyn Hickey took 4th in the halfpipe and 7th in slopestyle. For the 10-11 girls age group, Emily Ahlcrona won 6th. To end the season, OMS and the Okemo Competition Center handed out awards to our most deserving athletes. Not only did our athletes do well on the hill, they also succeeded in the classroom. One of the hardest parts of being an athlete is being able to juggle both schools and athletics, however, the students at OMS truly prove that hard work pays off, both on and off the hill. Our favorite awards to give out are the Head of School and Greatest Gains. The Head of School Award is granted to a student who shows excellence in the classroom and on the hill. This student should be hard working, respectful of others, driven with the will to succeed. This year’s Head of School Awards went to Josh Rosenberg for the Middle School and Katy Buckley for the High School. The Greatest Gains Award goes to a student who tries extremely hard, making improvements, not just to their grades, but to their work ethic and attitude in the classroom. This year’s Greatest Gains Award went to Otto Lichtensteiger. While this season is over, we are well on our way to getting ready for next year! OMS admissions are open, having already passed our priority deadline, however, there is still time to apply! For more information and to apply, click here! For athletes, preparing for next season starts now as well. A great way to get a jump on training for the upcoming season is attending an on-snow camp. This summer we are offering the Mount Hood Camp, June 20th - July 2nd, for athletes in all disciplines - alpine, snowboard and freestyle. Time on snow in the summer not only provides athletes with pre-season training, but gives them the opportunity to work on technical skills and receive feedback in a small group setting. Athletes can boost their skill development, while having an incredible experience that will strengthen their love of the sport and be with them all their lives. Summer is a great time for athletes to make breakthroughs - with the warmer temps, sunshine, and absence of the pressure of impending races or competitions, attitudes are light and fun and we often see athletes accomplish new skills based goals. 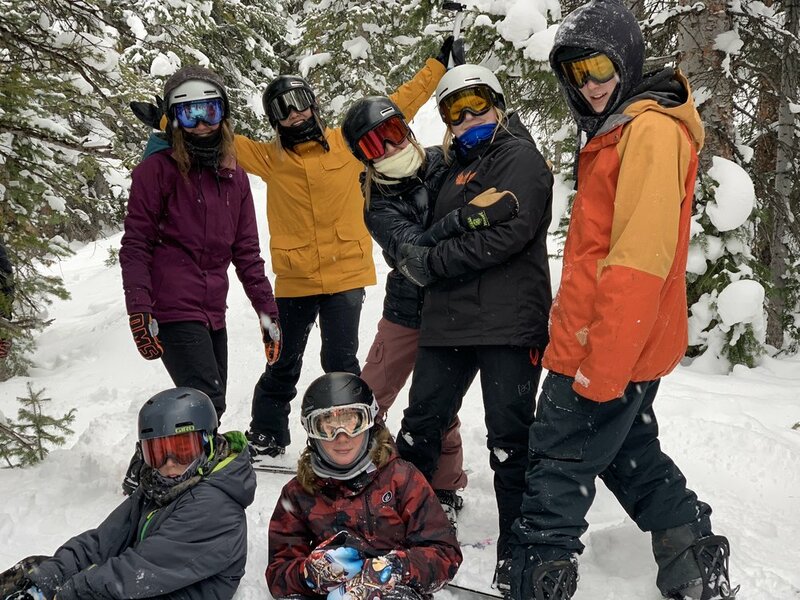 Furthermore, while it may not seem like a lot of time at first, realize that for weekend only athletes the 10 +/- days on snow the athletes will get at our Mount Hood camp represents 25% of the time they will spend on snow all winter long - this is a huge chunk of time! To receive a 10% discount on the Mount Hood Camp, sign up and submit a deposit before April 15th! For more information, click here! OMS also offers four sessions of a Summer Sports Adventure Camp as a way to get in shape while having fun with winter friends. These camps provide morning conditioning to work on strength and agility, followed by afternoon activities such as mountain biking, rock climbing, and lake sports! For more info, click here! As summer passes, mark your calendars for a September weekend of fun with the OMS Golf Tournament on September 14th, followed by Fit Day on September 15th!